Here are the essentials from Buddy Valastro’s instant classic, the New York Times bestselling Baking with the Cake Boss, in a condensed, more affordable paperback package with a dynamic, new design. Here are extensive explanations and step-by-step photos that show how you can bake—and decorate—just like the Boss! Bursting with delicious, tried-and-true recipes, handy tricks of the trade, and stories told in Buddy’s inimitable voice, The Essential Cake Boss is a rare treat— a fun, accessible guide to baking that inspires home bakers to new culinary heights, all in a gloriously designed, fully illustrated book worthy of the Cake Boss’s unique artistic vision. It all started with a cookie. Everything I am professionally. All that I’m capable of doing in a bakery. Every wedding and theme cake I’ve ever conceived and created. It all began with the first thing I was ever taught to make when I started working at my family’s bakery: butter cookies. It’s been a long time since my first “official” day on the job—almost twenty-five years—and it feels like a long time. When I look back over my life and career, I recall my skills growing at the same slow pace at which a tree grows. A baker’s development doesn’t happen overnight. It’s a painstaking thing. Even if you have raw talent, you have to nurture it, develop it. You have to patiently back up instinct and intuition with craft and, most of all, practice. Because in baking, practice doesn’t just make perfect. Practice also lets you move on to the next level, the next challenge, the next thing to be mastered. Learning to bake is like learning to speak. You pick up that first word, even if you pronounce it imperfectly, and then pretty soon you learn another, and then another. You might not be able to say every word as clearly as a network anchorman, or put words together into sentences, but even as a kid you know that’s where you’re headed, to a place where you can string words into sentences, sentences into paragraphs, paragraphs into anything you want—an essay, a story, a memoir—if you put in the time to get good at each of the component parts. It’s the same with baking. Those butter cookies were like my first word. They’re not difficult to make, and they’re still one of the first things we assign to baking newbies at Carlo’s Bake Shop, my family’s business on Washington Street in Hoboken, New Jersey: You mix a dough of butter, sugar, almond paste, egg whites, and flour; scrape it into a pastry bag; pipe circles of it onto a parchment paper–lined tray; and bake them. Next to the magnificent theme cakes we produce, those butter cookies might sound like the most idiotproof grunt work you could imagine. But they’re not. The beautiful thing about baking is that it all fits together; just as words lead to sentences, and sentences lead to paragraphs, those cookies—as well as the others I made in my first months on the job—laid the foundation for all the baking and decorating that awaited me, and if you’re new to baking, they can do the same thing for you. You’ve probably already made cookies, but I wonder if you have any idea how much you’ve learned about pastry and cake making from something as simple as mixing and baking a chocolate chip cookie. If you’ve made cookies from scratch, then you already have experience with one of the most important things about baking: mixing dough until it’s just the way it’s supposed to be. 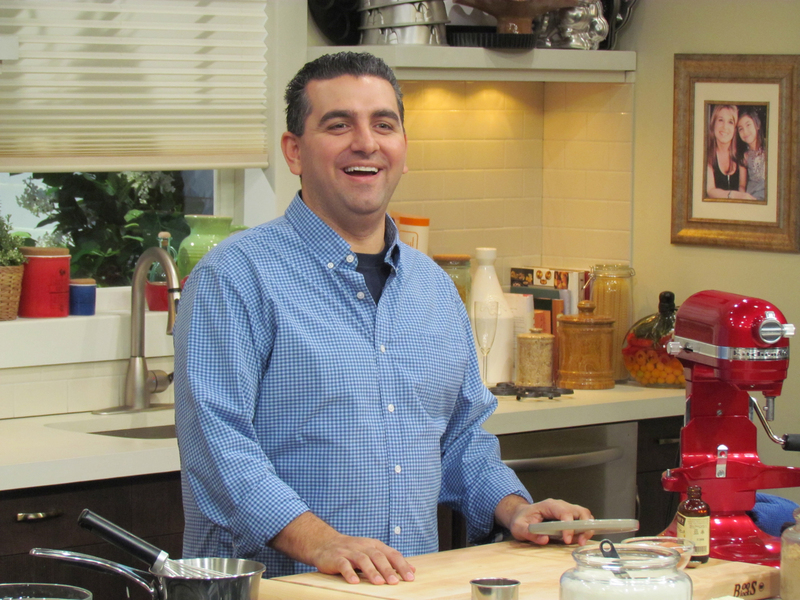 As for the baking itself, you’ve developed an eye and a nose for doneness, and you’ve learned a little something about how food behaves after it comes out of the oven, like the effect of carryover heat (the way things continue to cook by their own contained heat as they rest), and that the cookies will harden as they cool. Those things might not seem like much—I bet you’ve never even given them much thought—but if you’ve ever made chocolate chip cookies from scratch, then you’ve already begun to unleash the baker within. I call this the “Karate Kid principle.” In the movie The Karate Kid—both the original and the 2010 remake—the young protagonist is forced by his master, Mister Miyagi, to execute a series of seemingly mundane tasks: sanding the floor, painting a house, and waxing a car (in the original) or picking up and putting on a jacket, then taking it off and hanging it up (in the remake). The boy doesn’t see the value of these tasks—in fact, he thinks the old man is toying with him—but when it comes time to step up and do some real karate, he finds that he knows all he needs to know: The brushstrokes he used to paint taught him the motion for blocking a blow; bending over to pick up the jacket prepared him to duck; and so on. He’s been learning more than he ever realized just by doing those simple little things, over and over. It’s the same with baking: You do small tasks like mixing cookie dough, or piping an éclair full of cream, or rolling out rugelach. It’s assembly line work, or at least that’s how it seems. But when it comes time to do more intricate baking and decorating, you realize you already know a lot of what’s required. If you do enough baking, then you don’t even have to think about it because your senses take over: Your fingers know what dough should feel like when you work it; your eyes and nose develop a sixth sense for doneness; and your brain makes adjustments based on the end result so you can correct your course the next time to make it even better. Once you get all those tasks down to a T, and you move on to the next ones, that’s when you have your Karate Kid moment. All of those cookie-making skills come into play when you decide to tackle pastry; the mixing, rolling, shaping, and baking have become second nature, so you can save your mental energy for what’s new: assembly and decorating. And by the time you get to cake making and decorating, and discover that you’ve already got the tools to do that . . . well, it’s a truly mystical moment in a baker’s life when we realize that we possess the skills necessary to make our tools and ingredients do whatever we want them to, and that we’re capable of more than we ever thought possible. I hope that this book will help you attain such a moment in your own baking life. I’m living proof of what I’m talking about. In my early days at Carlo’s Bake Shop, I was confined to simple baking tasks such as making cookies and what we call “finishing work,” which means slicing and piping pastries full of cream, or topping them with maraschino cherries or strawberry halves. Those jobs didn’t seem like much at the time, just your basic dues-paying labor. But eventually, I got so good at these rudimentary tasks that I didn’t even have to think about them. By making cookies, I learned how to mix, picked up some simple piping techniques, and honed my eye for doneness, learning to discern the fine lines between “hot,” “done,” and “burned,” which were different for each cookie. By making pastry, I learned a greater variety of skills, developed greater finesse with dough, and began to develop what we call the “Hand of the Bag,” the oneness with a pastry bag that you need to be able to decorate cakes. And cakes were the next step in my education. Because repetition leads to mastery, my favorite times at the bakery were the holidays, when we’d bang out 150 pans of éclairs and 150 of cream puffs in a single day. I used to look forward to those crunch times, because when each one was over, my skills had risen to a new level and I was ready to move on to the next thing. January didn’t bring just the new year; on the heels of the December madness at Carlo’s, it also brought me new challenges in the kitchen. I’ve designed this book to track the same path I took at Carlo’s, the one that any young baker still takes there today. Of course, you don’t have to bake these recipes in the order I’ve arranged them in this book, especially if you already have a certain degree of baking and decorating experience. But if you do bake them one after the other, in order—and if you take the time to really learn each recipe until it’s second nature to you—when you get to the theme cake recipes, you’ll be amazed at how much you know: You will be an expert mixer, and baking will be a breeze. If you are going to use fondant, you’ll have already developed crucial rolling skills; and if you’re going to do a lot of piping, you’ll already know all the techniques required to produce the various effects. 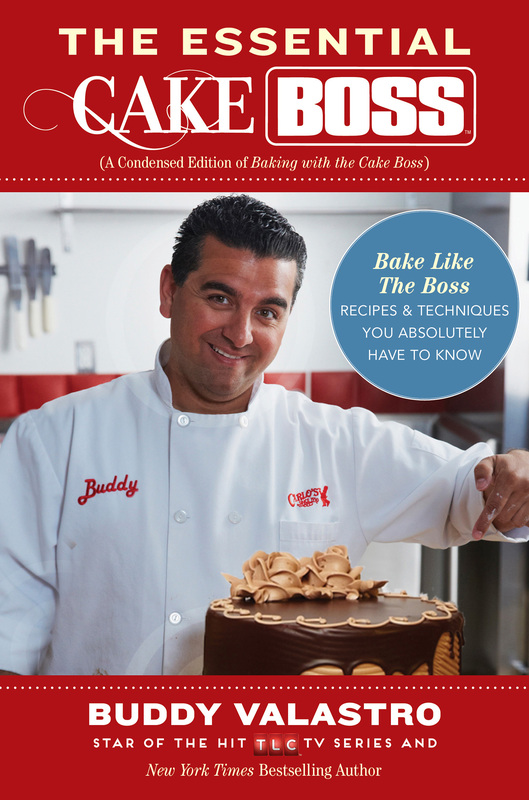 To put all of this another way: Think of this book as your own, private apprenticeship alongside me, the Cake Boss himself. I am going to teach you everything I learned at my family’s bakery, in the same order I learned it. We’re going to start by making cookies, then work our way up through the Carlo’s “curriculum” of pastries, pies, basic cake decorating, and theme cakes.